The St Neots Handbell Ringers came together in October 1979, after a request to start a group appeared in the Parish Magazine. There were 13 ancient handbells hanging in the church belfry, cast by Shaw’s of Bradford at the turn of the 20th century. A cracked bell had been recast and the others had recently been restored. The appeal for ringers prompted a local Darby and Joan Group to ask the group to entertain them at their Christmas party, 6 weeks later, which they duly did after 6 weeks frantic practise! 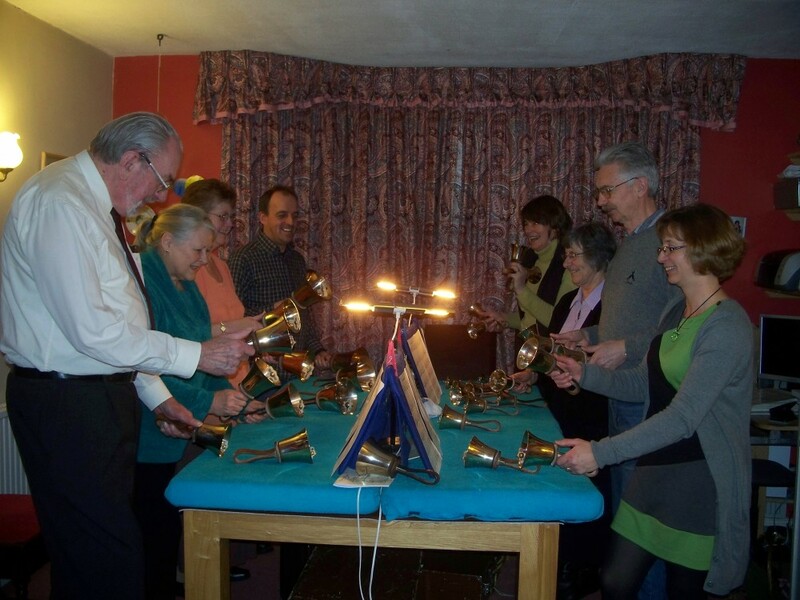 The group attracted a lot of ringers and so began to augment the number of bells to 3 octaves. Some of the bells began to require tuning but there was concern that the tuning process would render the bells quite vulnerable and so another 3 and a half octave set of Shaw’s bells was purchased and is still in current use. The original set of handbells was used initially to practice change ringing, but St Neots Handbell Ringers are a tune ringing group. They ring from musical notation, simplifying it where necessary. The group entertains mainly in residential homes, but has performed in larger venues in the past to larger audiences. New ringers are always welcome and you don’t have to be a musician to learn to play handbells. Some of the ringers are members of Handbell Ringers of Great Britain (HRGB).